Today is all about FUN! 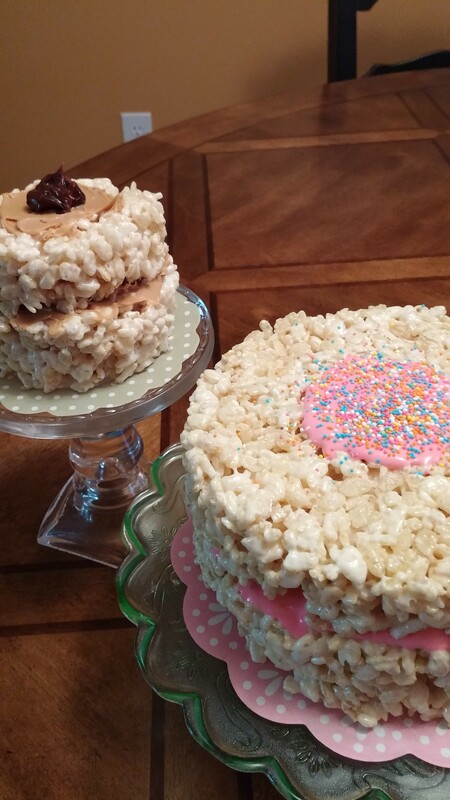 There isn’t anything more fun in the kitchen than cakes made with Rice Krispies! I created this idea and you can create your own too! The possibilities are endless! 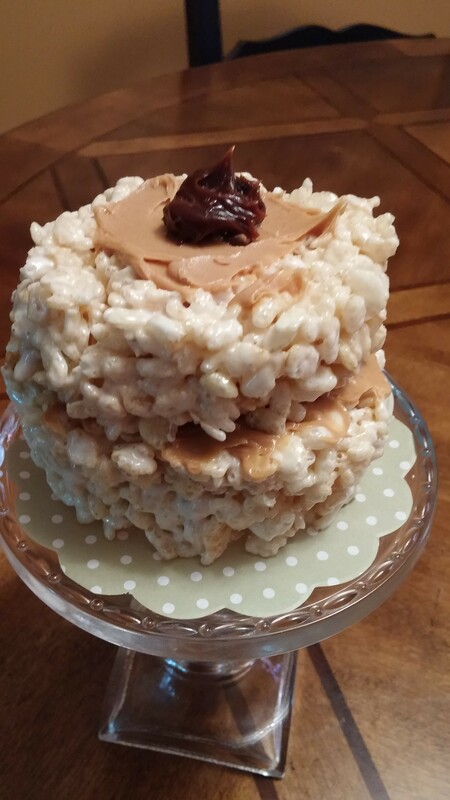 Great recipe to do with children or adults! This is a FUN idea for a party as well! You make the mini cakes ahead of time and have little bowls of icing, candies, sprinkles, etc.. and each makes their own! Adults can enjoy these too! So gather your ingredients and go make some FUN in the kitchen! ENJOY! This is SUPER EASY! 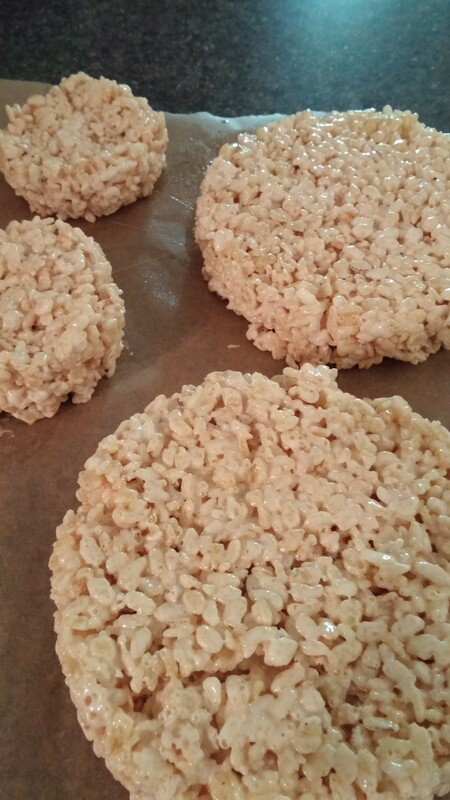 Make one batch of Rice Krispy treats using the recipe on the back of the cereal box. I used a 6 inch cake pan and a 3 inch round cookie cutter for the minis. Spray your pans and cookie cutter WELL with cooking spray. 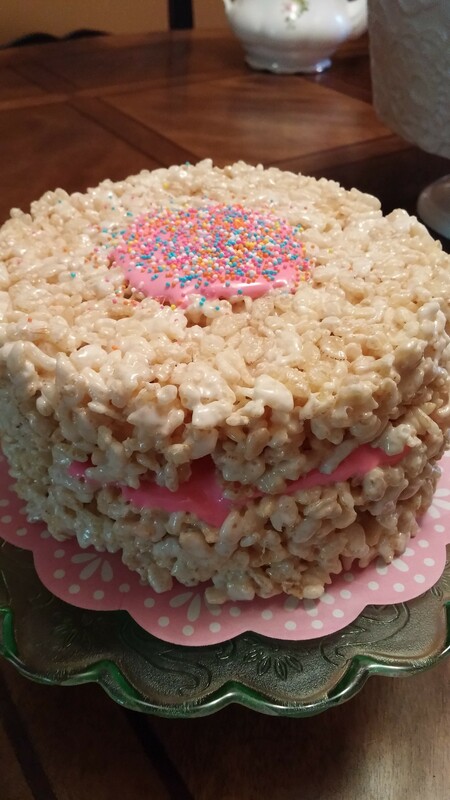 Using sprayed parchment press the krispy treat mixture into the pan or cutter. Remove carefully and repeat. Now CREATE! 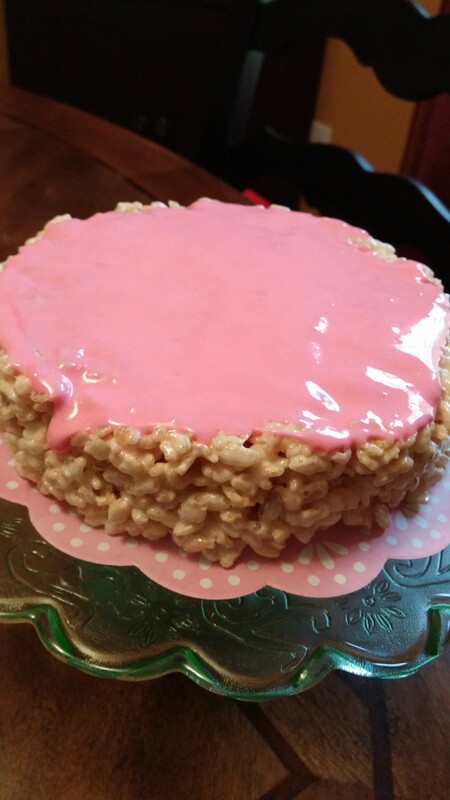 My 6 inch FUN Cake has a frosting of melted marshmallows with a touch of butter and colored with paste coloring. 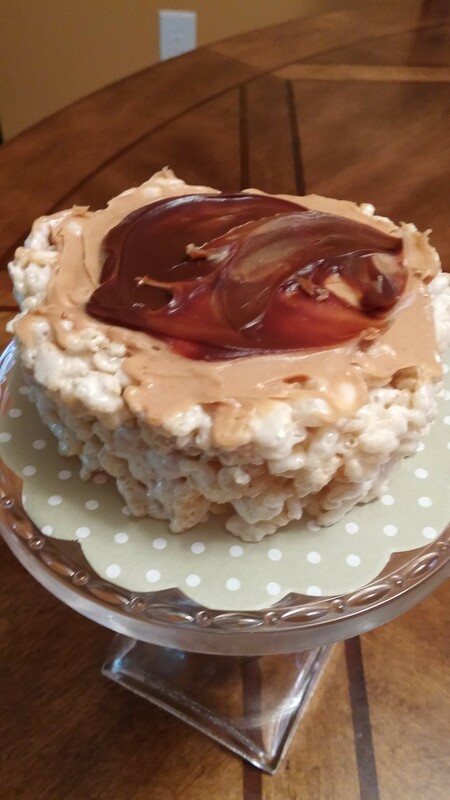 I ice the middle and a circle on top, on top I added sprinkles.For my Mini Chocolate Peanut Butter FUN Cake….I simply iced the middle with peanut butter then hot fudge sauce from the jar. Placed my mini treat on top and did the same in a small circle on top. YUMMY!